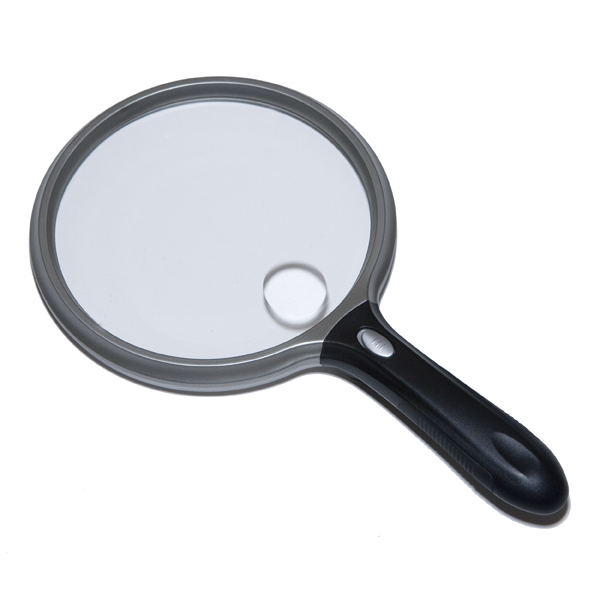 This 2X powerful LED handheld magnifier has an amazing 5 inch viewing area. The super bright LED bulb provides extra light when necessary and never needs replacement. LED bulb rated for 100,000 hours. Also included is a 6X bifocal. Measures 10 1/4” long.